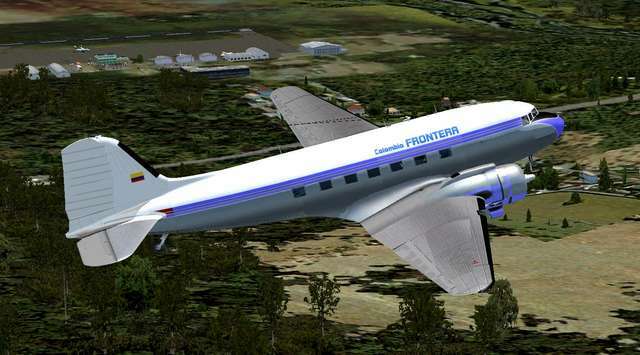 It's hard to believe that in 2016 the grand old DC-3 is alive and still flying in Colombian skies to jungle and mountain villages isolated from civilisation, as they have been for seventy and even eighty years. The 'Buses of the air', as they a called, fly from Vanguardia airport in Villavicencio, taking passengers and freight every day of the week. Now for the first time in FSX we provide the pilot with a complete instrument panel on a second screen which will make your DC-3 flying more real. 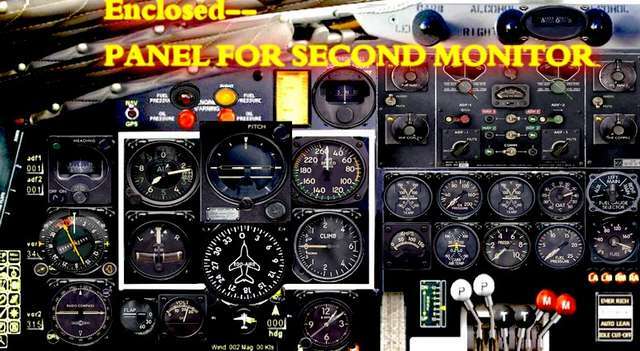 The panel is set up with mostly default instruments so it is very easy to place on your default DC-3 or any other you have! 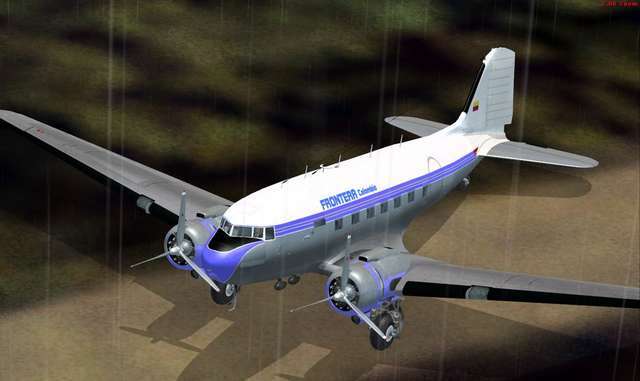 The Gold kit also provides you with two Colombian DC-3 airline textures for the default aircraft and one for the Just Flight DC-3 C-47. Fly the six missions and be ready to nurse the old lady up to the clouds of the Colombian mountains and jungles. Just keep an eye on those roaming thunderstorms which are also included! "How to make a low price cockpit for your DC-3 or any other aircraft"
Includes FREE bonus mission 'Flying The Hump' - fly over the Himalayas! 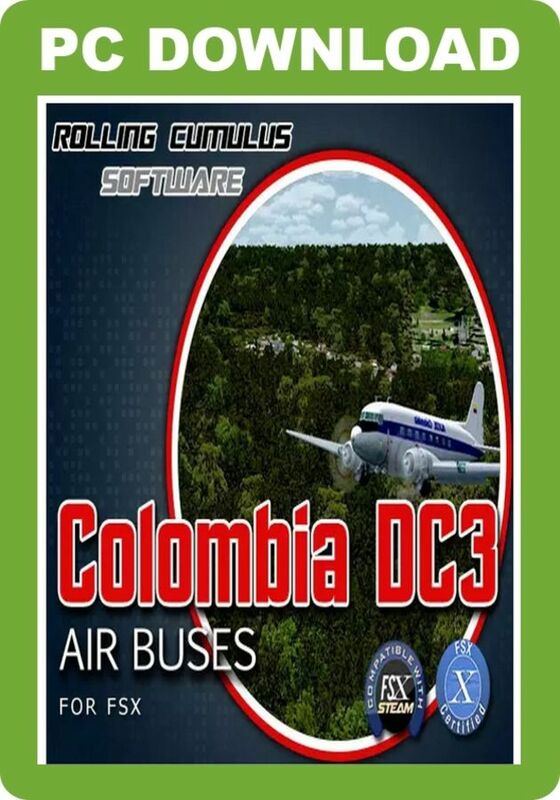 The venerable DC-3 is still a mainstay of rural Colombian aviation and this mission pack for FSX provides six DC-3 missions for you to fly in the Colombian mountains and jungles. 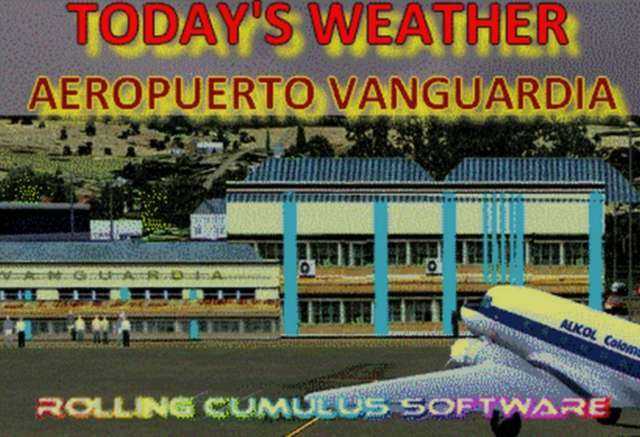 The package includes a complete instrument panel on a second screen, new airport and airfield scenery, six weather themes, two Colombian DC-3 airline textures for the default aircraft and one for the C-47 in Just Flight's DC-3 Legends of Flight add-on.